The analogue temperature transmitters of the T91 model series are matched to the specific requirements of industry. 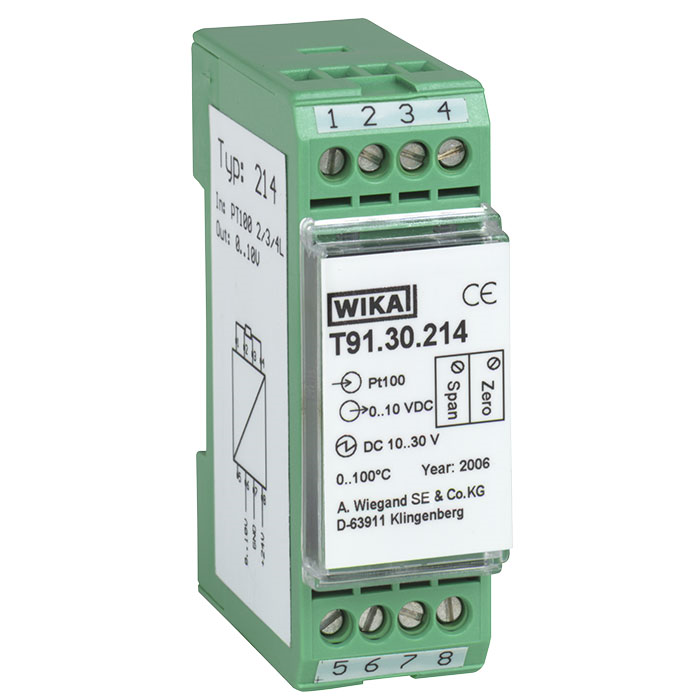 They are particularly suitable for direct connection to evaluation instruments with voltage inputs such as PLC's or A-D conversion cards in PC's. The temperature transmitters convert the temperaturedependent change in resistance of resistance thermometers or the temperature-dependent voltage change in thermocouples into a 0 ... 10 V output signal. With this standardised signal, the measured temperature values can be transmitted simply and safely. 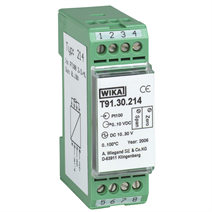 The temperature transmitters of the T91 model series are fixed-range transmitters which are supplied with the required measuring ranges in line with the customer's requirements. A later fine-adjustment of the zero point and the span can be made with potentiometers once fitted. The rail-mounted transmitter T91.30.232 offers a special feature. The sensor input side is galvanically isolated from the analogue output. Thus the T91.30.232 is especially suited for fast measurements of non-isolated or base-metal thermocouples. These transmitters in rail mounting cases are suitable for all standard rails to DIN EN 50022-35.